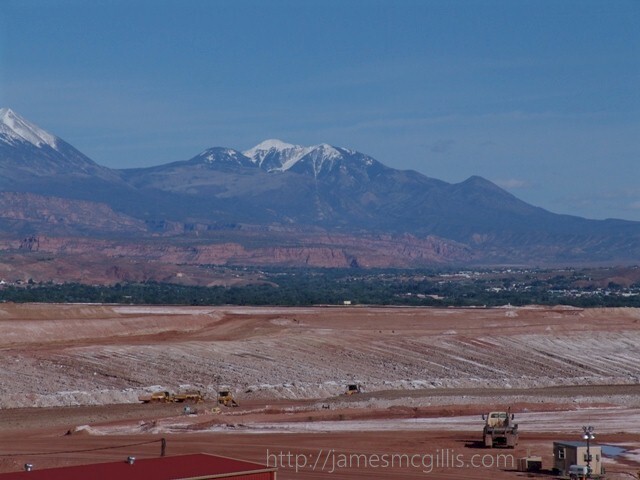 Since May 2009, I have published eight articles regarding the U.S. Department of Energy (DOE) Moab Uranium Mill Tailings Remedial Action Project (UMTRA). 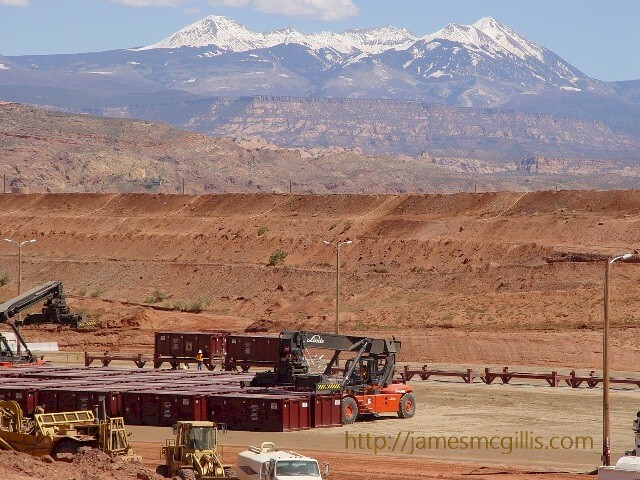 In 2005, radioactive and chemical laden soil from the former Atlas Minerals Corp. uranium mill towered ninety-feet high along the Colorado River at Moab. 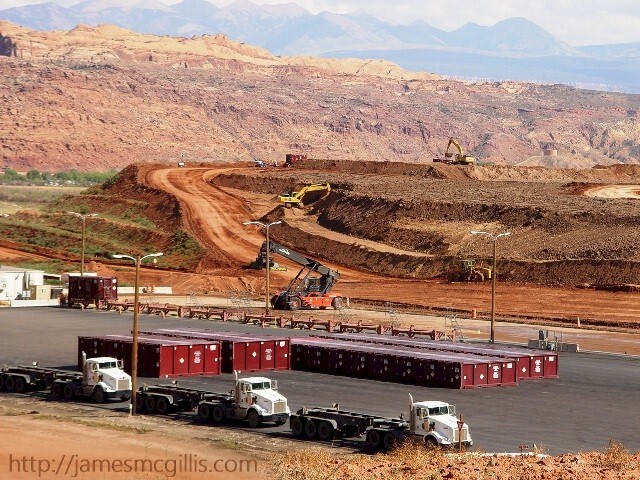 At that time, DOE announced that 11.9 million tons of radioactive tailings would move thirty miles to a secure burial site near Crescent Junction, Utah. In February 2014, DOE announced that contractors had removed and transported 6.5 million tons, or forty-one percent of the total tailings pile. If the 6.5 million tons removed equals forty-one percent of the tailings, then somehow the Moab Pile had expanded from 11.9 million to 16.2 million tons. With no new material added, and 6.5 million tons removed, the original size of the Moab Pile had somehow expanded by thirty-six percent. Moab is a magical place, but since no one is creating new dirt, the growth of 4.3 million tons at the tailings pile is a Moab mystery. With such vagaries appearing in official DOE documents, there should be a better accounting of how much material there is yet to remove. At current rates of transport, the DOE expects a complete the removal of contaminated material by about 2025. If we take projected annual shutdowns of the federal government into account, the project timeline stretches out to Friday April 13, 2029. Prior to the completion of its charter, Moab UMTRA expects to excavate and remove all contaminated material from the site. The problem with that scenario is that no one knows how deep or wide the plume of contaminated water and saturated soil actually is. If the weight of contaminated tailings grew by 4.3 million tons in the first nine years of the project, what is to keep it from growing an equal amount in the next nine years? If we look at the underlying hydrology, there are two major influences on water flow and ground saturation at the UMTRA site. First is the once-mighty Colorado River. As the river swings through an arc at Moab Canyon, the tailings pile lies on the outside of that bend. 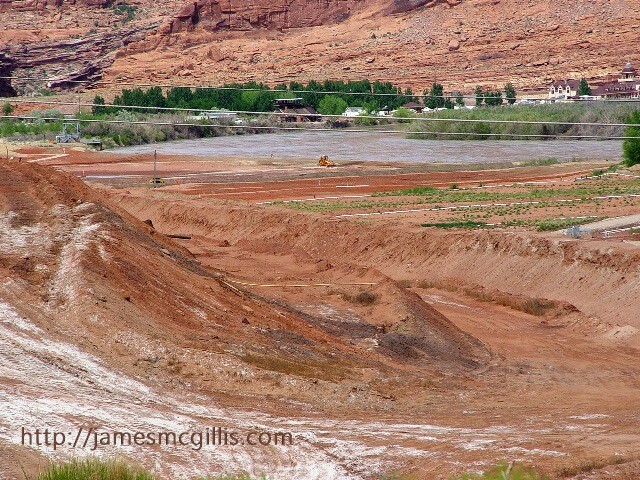 During flood years, such as 2011 and to a lesser degree 2014, hydrological pressure pushes Colorado River water into the lower reaches of the Moab Pile. 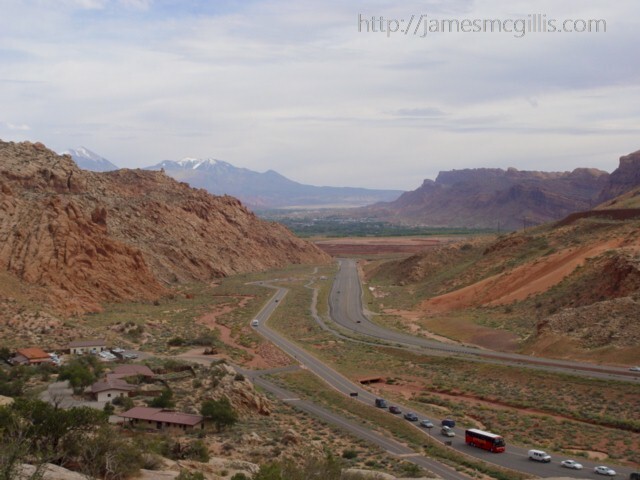 At the same time, the Moab Wash brings both surface flow and underground percolation downstream from the sand-filled canyon near the main entrance at Arches National Park. In an ideal world, the hydrological pressure from the Colorado River would cancel out the subterranean flow from the Moab Wash watershed. 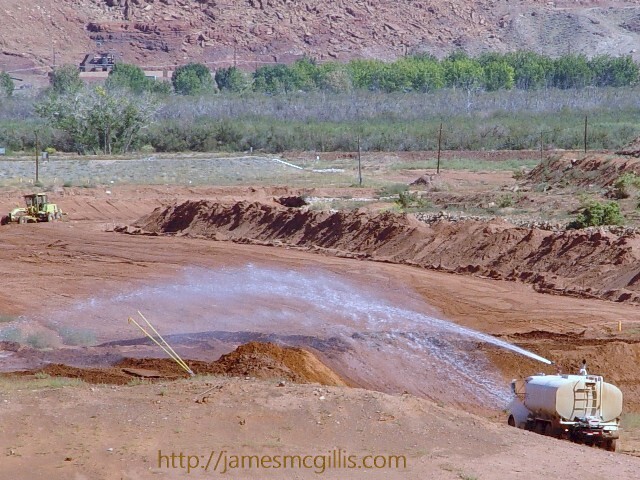 In the real world, a well field located between the tailing pile and the river attempts to extract and purify groundwater before it enters the Colorado River. As of February 2014, the wells have extracted four hundred tons of ammonia and almost two tons of radioactive uranium. During low water periods, technicians inject fresh water into the wells in an attempt to maintain stasis between the two competing flows. If the contaminated water and soil at the Moab Pile run deeper than current optimistic estimates, adding an additional 4.3 million tons to the excavation project is possible. If that turns out to be true, then the project is currently only one third complete, not the forty-one percent touted in recent DOE announcements. 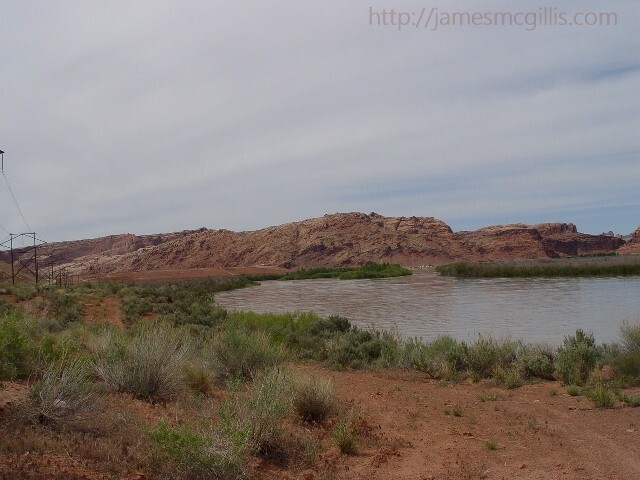 If scouring the Moab Wash watershed requires digging a huge hole where the waste tailings now stand, the entire character of the project might change. 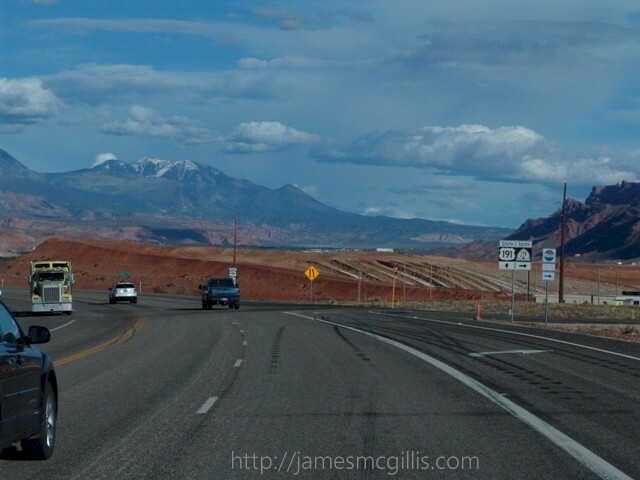 Relying on the optimistic DOE projections, Moab and Grand County have created what they call a Community Vision Plan for the site. The Community Vision Plan, as currently formulated, includes a railroad station, transit center, bicycle and walking trails, a community park, federal offices, an ice rink, an event center and undetermined commercial uses. Although the UMTRA site comprises 474 acres, 171 of those acres are in the floodplain. The contaminated tailings currently take up 104 acres. Highway and other easements remove 102 acres from potential development, as do twenty-nine additional acres of steep slopes. If the 104 acre Moab Pile becomes the new Moab Pit, that would leave 65 acres of developable land. Despite local government resolutions to the contrary, the DOE is not obligated to cede even one acre of the UMTRA site to Grand County. With the uncertainties over long-term federal funding, the amount of remediation required and the tendency for such programs to balloon in both size and cost, alternatives to the “Community Myopia Plan” seem prudent. As of 2014, we have at least eleven or more years until site remediation is completed. Even at that, there may be a 104-acre pit where the Moab Pile now stands. 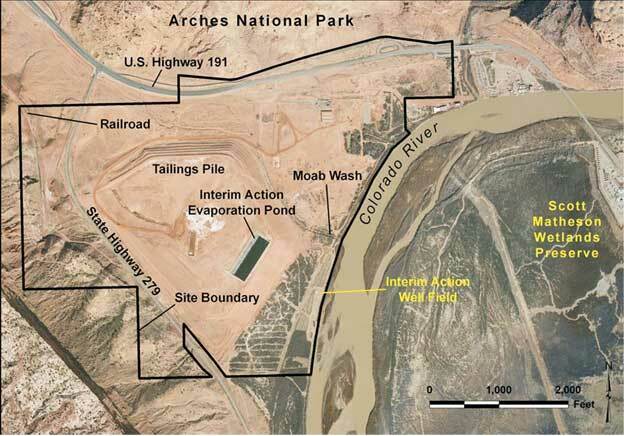 Assuming that 4.3 million tons of clean fill-dirt does not become available at the site, planners for the DOE, Moab and Grand County should include the potential for a new Moab Pit in their visionary plans. From the beginning of the UMTRA project, it was my contention that flood protection at the site should take precedence over removal of contaminated material. Ignoring my pleas and the paleoflood studies that substantiated them, DOE continued full speed ahead with their waste removal project. In the spring of 2011, DOE suffered public embarrassment when Colorado River floodwater penetrated part of the Moab Pile. After the 2011 flood, DOE took measures to lessen the potential for flooding at the site. Today, it still relies on simple pumping of groundwater through easily flooded wells to keep ammonia and uranium laden waste out of the Colorado River. Upon final removal of the waste tailings, DOE has no announced plans for protecting the UMTRA site. 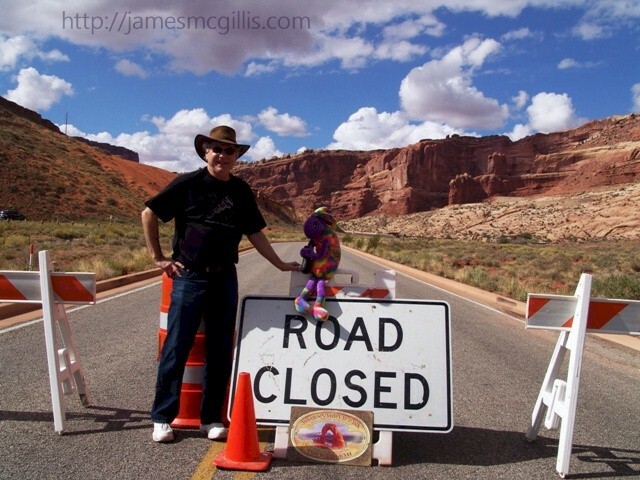 Protection for the new Moab Pit and the proposed public amenities are absent from the clouded Visionary Plan, as well. Rather than rushing headlong to completion of waste removal, the DOE should shift its focus to the long-term protection and potential uses of this unique recreational resource. If left to the devices of nature, the new Moab Pit might fill itself with a mixture of contaminated groundwater and floodwater from the river. In order to prevent such an ecological disaster, DOE should create a cofferdam along the Colorado River. If properly constructed, the new cofferdam could hold back the river and allow complete removal of contaminated materials from behind the dam. If architects of the cofferdam think ahead, they could design a floodgate into the structure. In 2029 or beyond, DOE could then transfer the UMTRA site to Grand County. Although I will be over eighty years old at the time, when the Moab Pit becomes the new 104-acre Grand County Marina, I hope to attend the ribbon cutting ceremony. 2009 - A Happy Ending for the Moab Pile?